... which is no surprise, since Delius is one of their favorite limeys. As I'm sure you have already guessed, the mustelids keep playing the same half dozen pieces over and over, which is no fun, since, unlike Beethoven--whose symphonies are so varied it's hard to believe they were all written by the same person--said pieces sound so alike that I'm totally tired of them. I want to do justice to the author of the FLORIDA SUITE, so please inform me about less overplayed music that will impress everybody who is not exactly eager to listen again to A VILLAGE ROMEO AND JULIET. What would you play if given an hour or two per day of programming on that radio station? What would you consider a wake up call for your listeners? piston wrote: What would you play if given an hour or two per day of programming on that radio station? What would you consider a wake up call for your listeners? Because the mustelids repeat so often I know by heart everything they play at least once every month, such as the Delius warhorses I quote, so all I would do would be to peruse a composer's complete works and choose everything I don't recognize. I have listened to the weasels since the turn of the century, and I have a prodigious memory. 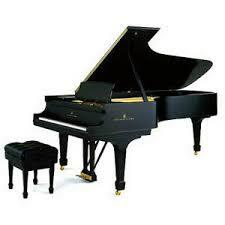 He's got a number of melodious works, such as la Calinda, that your listeners would readily respond to. The question is, would you challenge them with more difficult works of his, such as his big, quite loud, Mass of Life? What do radio listeners want? "The best of" this guy and this other guy? Or do they want to follow a composer's creative path from beginning to end? I would venture that they want the former, not the latter. Radio programs that take you down a composer's creative path are extremely rare. The last one I was listening to, from France, recently ended. The other one I really liked, in the seventies, was scheduled at midnight, for two hours. One more point. During their life time, these composers we love were also appreciated for their art songs and their choral music and they wrote a lot of it. It so happens that these two genres are out of vogue in our own life time. Unless you've got Dawn Upshaw championing your music, this sort of work isn't going to get much air time today. Organ music is not far behind that trend. For cultural reasons, I've just eliminated from the air three different types of works that were once greatly appreciated. piston wrote: One more point. During their life time, these composers we love were also appreciated for their art songs and their choral music and they wrote a lot of it. It so happens that these two genres are out of vogue in our own life time. Unless you've got Dawn Upshaw championing your music, this sort of work isn't going to get much air time today. Organ music is not far behind that trend. For cultural reasons, I've just eliminated from the air three different types of works that were once greatly appreciated. It seems the mustelids' public is strictly lower middle brow. Pity about the music for organ; the organ symphonies of Widor would allow the Saint-Saens a well-deserved rest. I forgot the operettas, also very much out of vogue today, and the bulk of opera production too! It's amazing how much the opera repertoire is narrow when compared to the repertoire for orchestral works and chamber music. Delius wrote three operas. piston wrote: I forgot the operettas, also very much out of vogue today, and the bulk of opera production too! It's amazing how much the opera repertoire is narrow when compared to the repertoire for orchestral works and chamber music. Delius wrote three operas. Just as I suspected: the weasels sell Delius short. Paris, Song of a Great City, an impressionist piece written in 1899 - does seem to catch the Parisian mood (what's left of the interesting parts - Montmartre, the bridges that cross the Seine, the view from the Sacre Coeur, the Latin Quarter). The lively interludes always remind me of the Pigalle area. Irmelin, a rather beautiful opera, his first IIRC, with a post-Wagnerian chromatic style but far from Wagner and just as far from Schoenbergs pre-12-tone works. Unmistakably Delius though. Both are far from Brigg Fair and the Cuckoo in Spring. Cynara (baritone and orchestra) composed while he was paralysed, Fenby was his secretary. Song of Summer, a reworking of an earlier piece A Poem of Life and Love composed about 1918, also helped by Fenby. This recording also contains a suite based on Irmelin which is most pleasant to listen to. As I have to make time to listen to a full opera, a chance with the entire Irmelin is small and this suite is on my MP3 player. Anyway, I'd certainly recommend Cynara, if you can acquire a download or happen upon a CD. I have a tough time with Delius. I do enjoy hs piano concerto, and the titles of his works are somewhat inviting, but in most cases, I'm not on the Delius bandwagon. I have about 60 recordings of something with Delius on them; I have found that Thomas Beecham's recordings are more interesting in orchestral repertoire than others I have heard. Beecham had a way with Delius's music, at least to my ears. Listening to the Mass of Life (even with Beecham conducting) seemed uninteresting. Lance, I think it's fair to say that one loves or hates Delius. There's little middle ground. His impressionism, symbolism if you like, focuses so much on nature. His style is very motif-based, chromatic but never sugary (in my view). I've never been happy with Delius' operas except Irmelin and Koanga. His concertos seem fine and are a little more formal but he could never resist his motivic tactics! I'm very much in accord with Beecham and Delius. It was a great shame Beecham didn't survive to record more of those earlier works in stereo. I feel that he really empathised with what Delius was trying to say musically and that, were better recordings available, modern audiences would be more receptive. His recording of Paris is second to none. Same with A Mass of Life. I've long been able to listen through the inferior technical medium. His only lacklustre recording was Song of the High Hills. I believe I read in one of the biographies that it was one work he would have been happier not performing. Fair enough. I'll try to move closer to "middle ground." Funny how music you might not appreciate suddenly comes for after time. Good to see you on CMG! absinthe wrote: Lance, I think it's fair to say that one loves or hates Delius. There's little middle ground. His impressionism, symbolism if you like, focuses so much on nature. His style is very motif-based, chromatic but never sugary (in my view). absinthe's generalization includes me out. 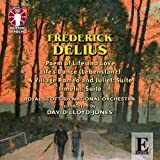 I like some of Delius's music, mainly the short orchestral pieces but also the symphonic poem "Paris," but am indifferent to most of it. Can't say I love or hate any of it. Set in early 19th-century Louisiana, its narrative must have seemed challenging in its day. To pacify the recalcitrant captured African prince Koanga, plantation owner Martinez tries to marry him off to his fellow slave Palmyra. But when she is abducted by the estate’s manager, Perez, Koanga rebels – with devastating consequences. A collaboration between the composer and Charles F Keary, but performed here in a subsequent revision by other hands, the libretto is a clumsy affair. It attempts to offer Koanga and Palmyra a measure of dignity, but it is certainly not one of the work’s strengths. Though uneven, the score is a good deal better; its finest sections revealing the influence of the African American music Delius had encountered in Florida in his early 20s, alternating with other passages possessing an almost Wagnerian intensity. Conductor Stephen Barlow keeps it on the move, while Michael Gieleta’s production, played in James Macnamara’s simple but effective sets, maintains a firm narrative line.